FoodSaver Vacuum Sealer With Starter Kit Just $56.49! Down From $90! PLUS FREE Shipping! You are here: Home / Great Deals / Amazon Deals / FoodSaver Vacuum Sealer With Starter Kit Just $56.49! Down From $90! PLUS FREE Shipping! Let your foodsaver system take the guesswork out of smart shopping! 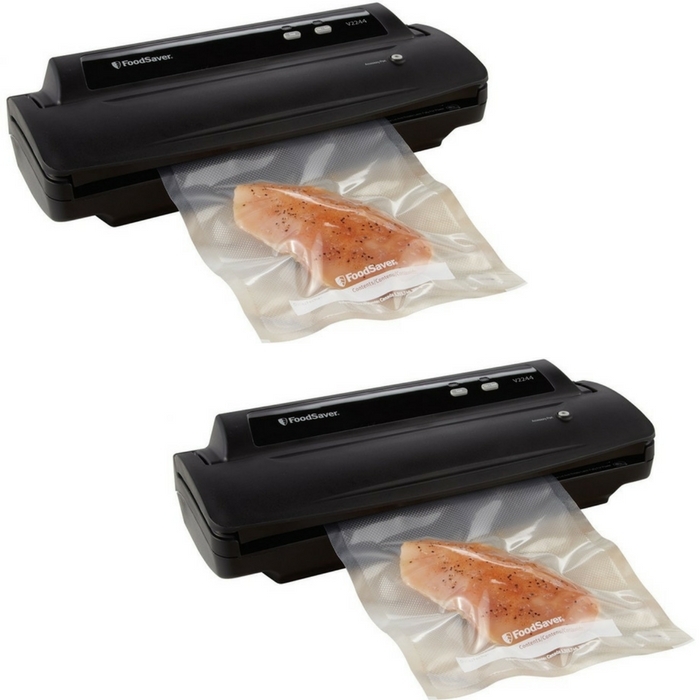 Buy in bulk and see all the savings by safely sealing and freezing meats, cheeses, vegetables, even soups and sauces with this vacuum sealer from FoodSaver! Right now, Amazon is offering FoodSaver Vacuum Sealer With Starter Kit for just $56.49 down from $89.60 PLUS FREE shipping! Hurry now to avail big discount!